Aizawl: The President of India, Shri Pranab Mukherjee attended the 10th annual convocation of Mizoram University today (April 10, 2015) at Aizawl. 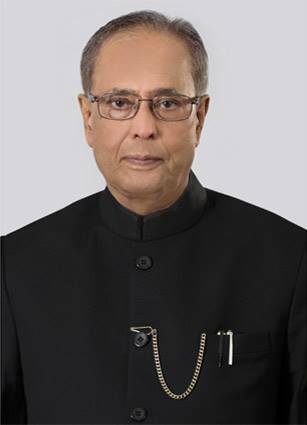 Speaking on the occasion, the President saidIndia is today a nation on the move. In every field of activity – be it business, industry, trade, education or culture – we are marching forward vigorously led by the ideas, enterprise and energy of our predominantly young population. An emerging India offers enormous opportunities for the youth of our country, including Mizoram. The youth of Mizoram should join hands with the youth from the rest of the country in forging the future of the nation. The President said a higher educational institution is a role-model for the society. It must leverage all expertise to contribute to the socio-economic development of the region. The central government has launched various programmes likeSwachh Bharat Mission, Digital India and Saansad Adarsh Gram Yojana. In the Conference of Vice Chancellors, it was decided that every central university will adopt and develop at least five villages and he was confident that Mizoram University will live up to the expectations. The President quoted Confucius and said “Education breeds confidence. Confidence breeds hope. Hope breeds peace”. Education supports two fundamental objectives of human existence: proliferation of knowledge and formation of character. He said higher education has a unique role to play in preparing the torch-bearers of tomorrow who will endeavour in different fields – from medicine to engineering, teaching, administration, business, politics and social service – to lead our nation to the high tables of global power. Central Universities should lead the transformation in India’s higher education.